Diplômée avec distinction en composition électroacoustique aux études Supérieures II du Conservatoire de musique de Montréal, elle tend vers une hybridation des styles, des genres et des méthodes appliquées. Sa pratique empirique cherche à faire vivre une expérience cathartique, entière, exprimée d’autant plus lors de ses performances, par son authenticité. Line Katcho is a Montreal composer and audio-visual artist who is meticulous, rigorous and passionate. Primarily interested in sound and image as demonstrations of kinetic matter, gestures, forces or motion, she distinguishes herself by her experimental approach and affinity for perceptual games. 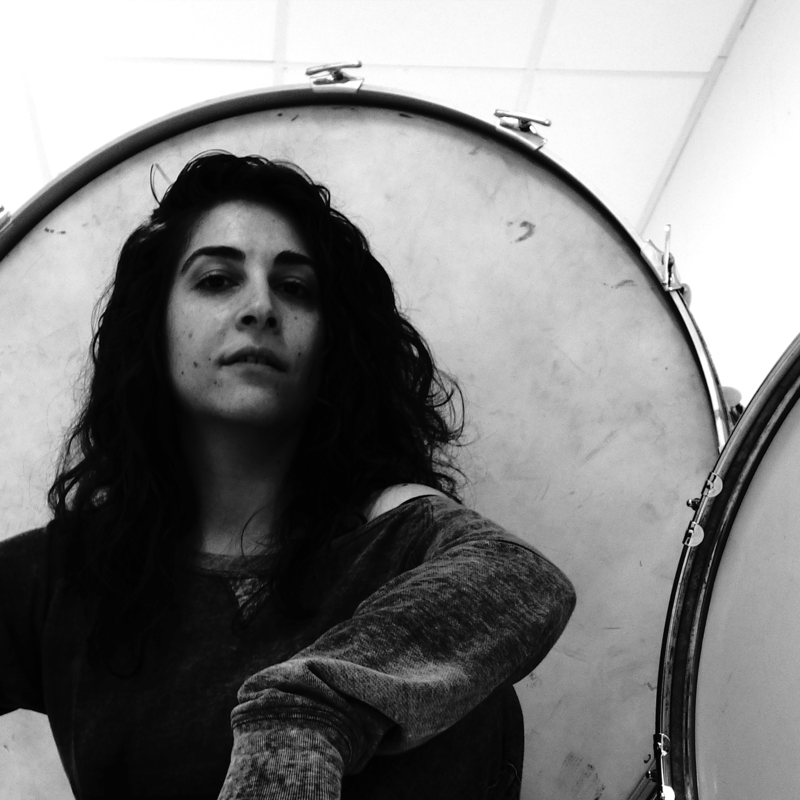 A Master’s Graduate with Honours in Electroacoustic Composition from the Conservatoire de Musique de Montréal, she leans towards a mixing of styles, genres and applied methods. Her empirical approach aims at creating a cathartic experience, expressed furthermore in her performances by her authenticity. Her internationally acclaimed work has been presented at festivals such as MUTEK (MTL, AR, MX, ES), MA / IN Matera INtermedia, Currents new media, Espace [IM] MEDIA, Elektra and Akousma; she was awarded the first prize in the 2014 electroacoustic competition Jeux de Temps/Times Play and the Award of Distinction in the audio-visual category at the MA/IN 2016 Festival. Line Katcho actively collaborates with choreographer and dancer James Viveiros, the Paysage Primitif collective, and also performs as a VJ under the moniker La Hyèna.